A project for an SPG to support light mechanized units. Designed from 1935 through 1937 on the basis of the S35 and S40 vehicles. 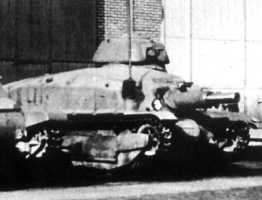 The design featured a modified upper part of the armored hull with the 75-mm casemate Mle 1929 gun. The top of the cabin featured a single-seated turret with the 7,5-mm Mle 1931 machinegun. The mass production of the SAu 40 was requested in October 1939. A prototype (and, according to some historical sources, four more pilot SAu 40) were sent to the frontline and used in action in June 1940. 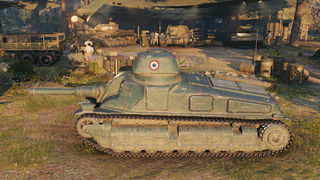 Unlike the ARL V39, which was based on the BDR G1B tank, SOMUA derived the SAu 40 from the very promising S35 cavalry tank that proved to be the best tank in the French arsenal at the beginning of World War 2. 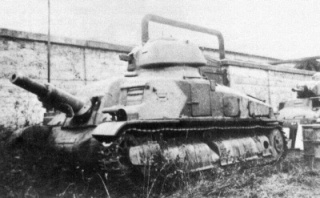 The SOMUA SAu 40 prototype was to be finished and presented to the army in 1937. 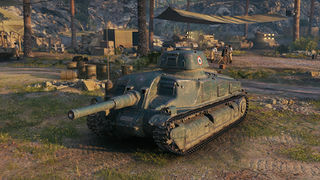 Unfortunately, since it shared the main gun with competing ARL V39, it had to wait for a full year for the both primary and secondary armament to be mounted. Main armament was to be the 75 mm APX gun, a modification of the mle. 1929 de Casemate gun originally developed for fortifications. 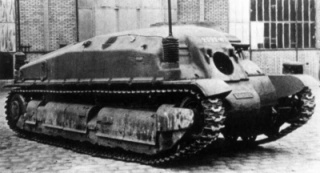 The gun un had a semi-automatic breech, automatic shell rammer, and a very odd and unusual feature: it could be retracted inside the hull to decrease the vehicle's length. 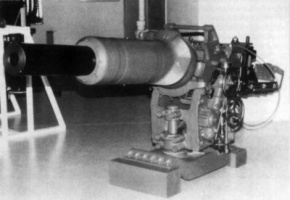 Secondary armament consisted of a 7.5 mm machine gun placed in a small turret on the roof, similar to the competing ARL project. 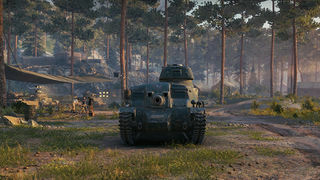 The 75 mm gun APX 1929 gun was to have a traverse arc of 7 degrees to the left and 7.6 to the right with an excellent elevation arc from -10 to 30 degrees. Maximum effective range was to be 2000 m, with an ammunition capacity of 102 rounds. The sights were quite advanced for its time, and they offered 4x magnification, with a field of view of 125 degrees. 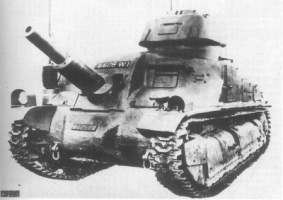 The Somua SAu 40 was only ever equipped with the stock 75 mm gun, not the 105 mm Howitzer nor the long 75 mm gun, the latter of which was only developed after 1940. This page was last modified on 27 January 2018, at 19:29.